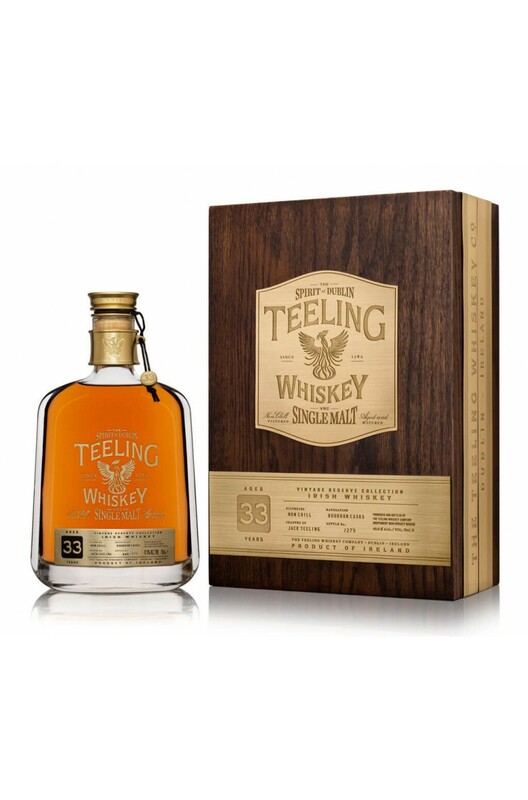 Currently the oldest Irish single malt whiskey available, and limited to very small numbers. This was drawn from two very special barrels that were filled in 1983 and together they yielded a meagre 275 bottles. Bottled at 42.9%. This highly collectable bottle comes packaged in an impressive wooden box which contains a specially commissioned booklet. Nose Harmonious and polished on the nose. Aromas of lemon curd, pears in syrup, orange zest, pineapple, crème caramel and lime cordial. Palate Juicy, sweet and zesty. Remarkable freshness and delicateness. Well balanced and very fruity. Flavours of lemon, lime, grilled grapefruit, vanilla and honeydew melon. Surprisingly lacking in any harsh oakiness. Types of Barrel used for Aging Aged in two American oak barrels.